S7 Group has sold 10.05% of shares in its subsidiary Sibir Airlines, Russia’s third largest passenger carrier operating under the S7 Airlines brand, Vedomosti daily reports. The shares went to investment and leasing company Eurofinance-Nedvizhimost, which paid 533.4 million rubles ($9.1 million) for them. This effectively means that the buyer valued the entire carrier at 5.3 billion rubles, which is slightly above the 2013 estimate when S7 Group purchased 25.5% in Sibir from the government. The current buyer is part of the investment company Eurofinance. Vladislav Filev and his spouse Natalia, previously the sole owners of S7 Group, now retain 89.9% of the shares. Vedomosti reports that Filev, a S7 Group co-owner, and Aleksey Gribkov, a Eurofinance shareholder, were course mates at the university. The investment company also assisted the Filevs with entering the aviation market back in the 1990s. 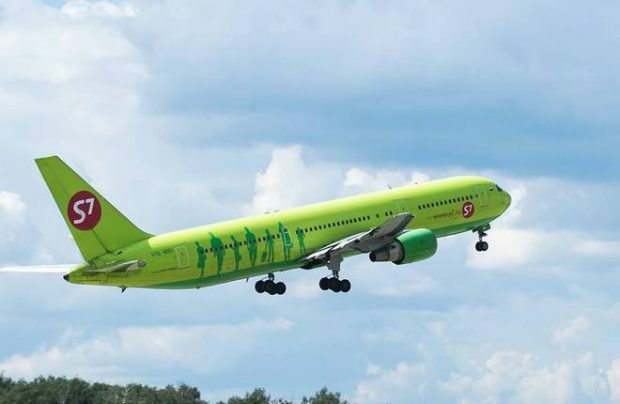 Between January and July 2017, S7 Airlines carrier 5.504 million passengers, up 1.6% year-on-year, making it the third largest carrier in Russia after Aeroflot and its subsidiary Rossiya Airlines. S7’s sister company Globus, also a subsidiary of S7 Group, is now Russia’s sixth airline by traffic. In the first seven months of the year it carrier 2.524 million passengers, up 33.2% year-on-year. The booming business allows S7 Ailrines to pay good dividends to its sharehoders: a total of 816.5 million rubles will be paid out for 2016, or 28.2% of the airline’s net profit, Vedomosti reports.